When I was younger I avoided eating grapefruits, endives, radicchio, drinking coffee, beer (obviously), tonic water etc... all because they were too bitter for me, but surprisingly not Brussels sprouts (love them forever!). I can't pinpoint the exact point in my life when I stopped disliking 'bitter' flavors, but maybe it had to do with being introduced to bitter paired with another complimentary flavor. 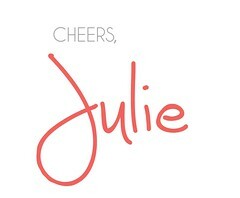 For example, Baskin Robbins jamoca almond fudge pairs sweet and bitter perfectly or the Salty Dog, a classic cocktail mixing bitter grapefruit with a salty rim. I'm still no fan of extremely hoppy beers like IPA's, tonic water, or straight up radicchio, but have have discovered ways to highlight the bitterness of some of these aforementioned bitter ingredients, while making it more palatable. 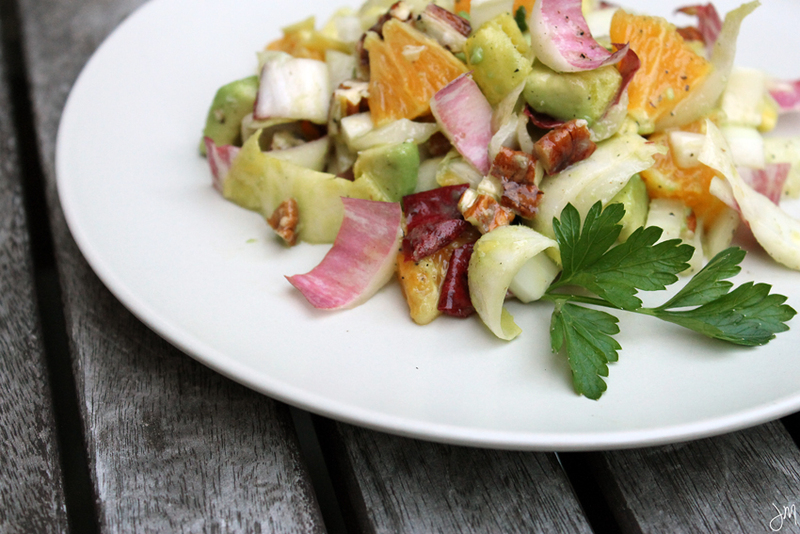 This Belgian Endive, Avocado and Orange Salad is a perfect example of that. The sweetness of the orange, mixed with the bitterness of the endive, cut down by the fat in the avocado all works in harmony and is finished off with a tart lemon dressing and salt for tasting. 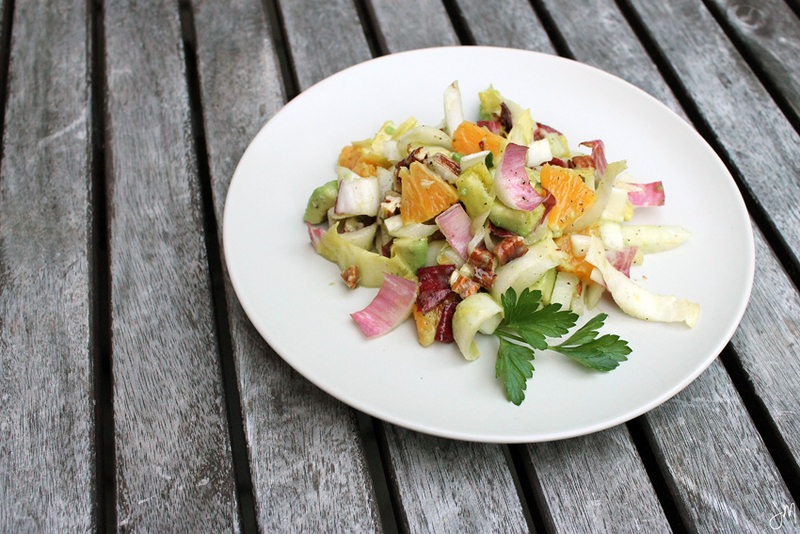 In a medium bowl, mix the endive, avocado, orange, and onion. Meanwhile in a smaller bowl, whisk the orange juice, lemon juice, and olive oil until blended well. Pour the dressing over the endive mix and toss. Season with salt and pepper and add the nuts. This looks so fresh and healthy for summer. Going to try it over the weekend! Ah it looks so tasty for summer. Definitely bookmarking!